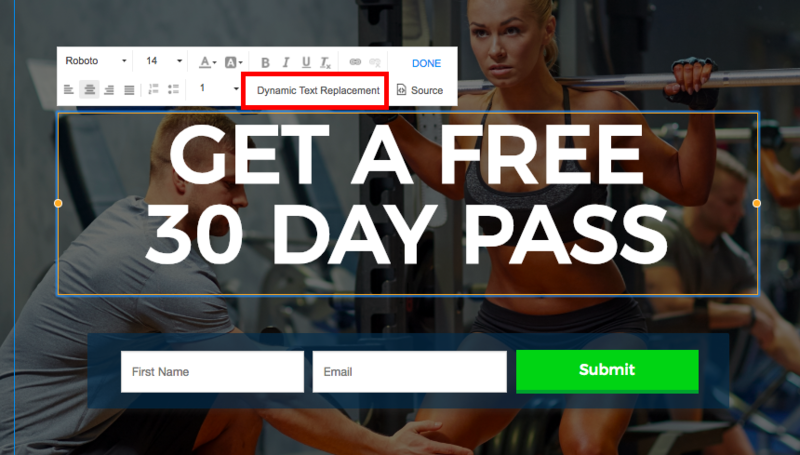 Dynamic text replacement is a feature that lets you automatically convert the text on your landing page to match url parameters and lead properties, and to personalize messages on the landing page for your visitors. 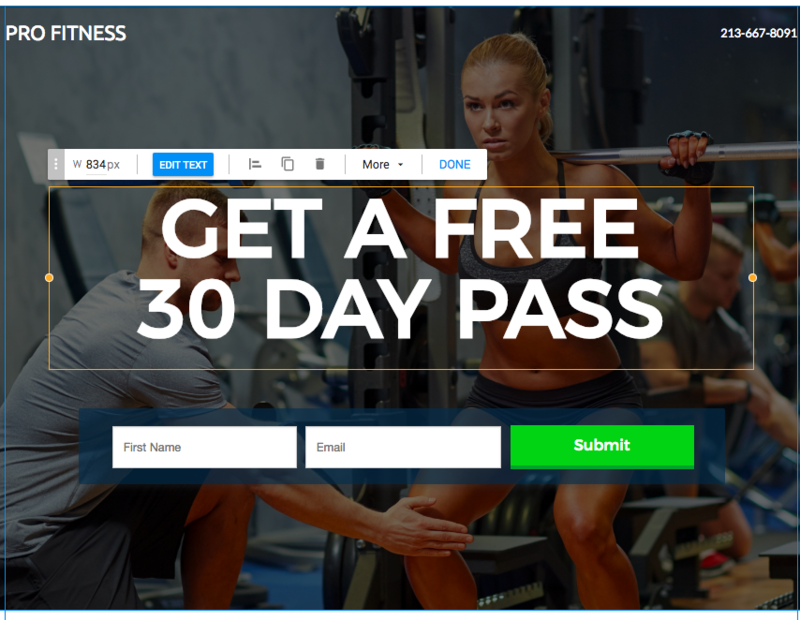 You can easily find dynamic text feature on any landing pages, popups, and forms. From your campaign edit mode, simply select text that you would like to change, and click "edit text." Then, choose the dynamic text replacement option. 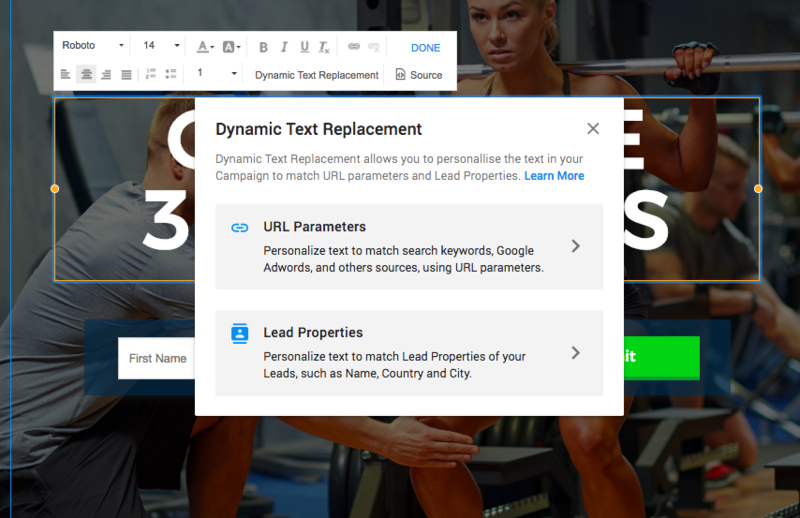 Finally, choose between URL parameters or lead properties as your trigger option.